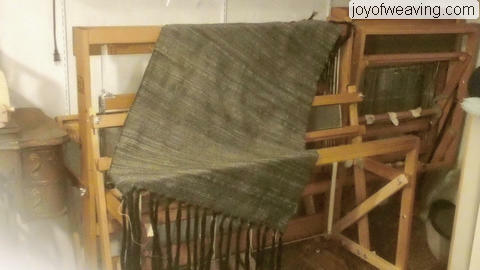 One of my goals when first learning how to weave was to be able to weave cloth enough to make clothing or accessories. I'm finally there. 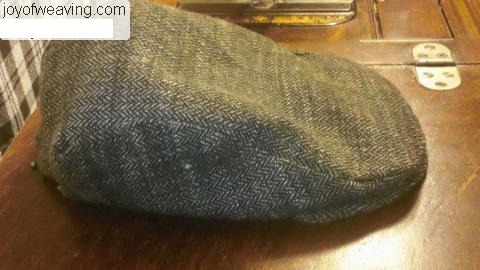 I started this flat cap awhile back and the first time I wove the cloth, I Ithought I didn't make enough yardage so wove it again. 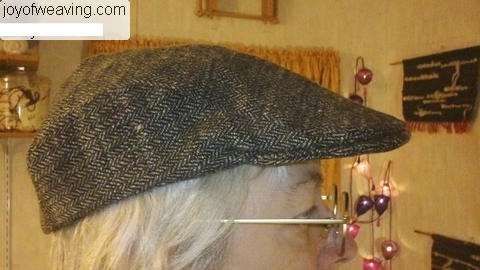 As it turned out, I ​did​ have enough yardage the first time so now I have enough cloth for about 3 hats or maybe some other accessories. This is for those of you who are mortified by the prospect of cutting in to the stuff you weave. I think it's the most fun part of weaving. I just don't get a lot of jollies out of making "ready made" items off the loom like towels, scarves, table runners, place mats and the like. Probably because I've been sewing for more than 40 years so none of this is frightening to me. It would make my day if this encourages even one person to take the dive! Warp is 16/2 cotton sett at 36 epi. Hand spun (by me) Blue Face Leicester singles as the weft. 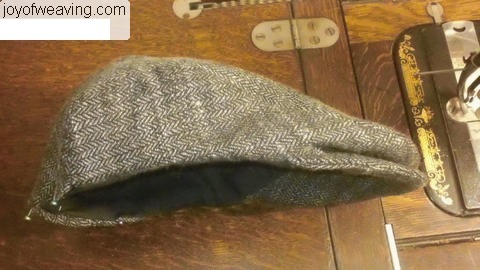 Herringbone Twill. Measures 25.5" x 36". Warp is 16/2 cotton sett at 36 epi. Hand spun (by me) Blue Face Leicester singles as the weft. 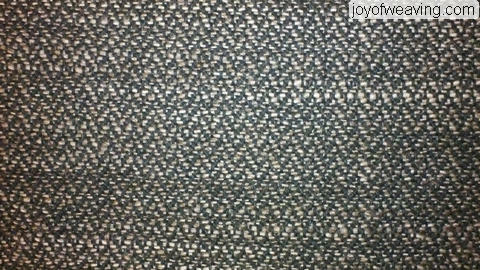 Herringbone Twill. Here's the machine I'll be using. 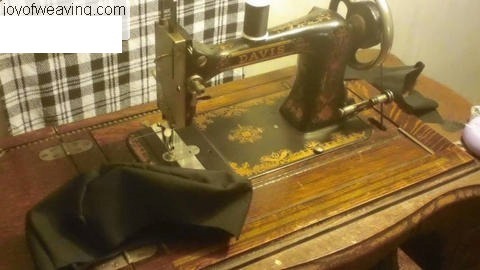 It's a Davis Treadle Sewing Machine. LOVE. All cut up and ready to become a hat. 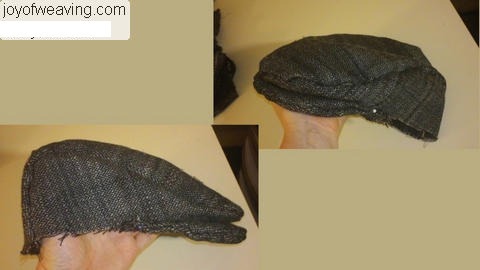 Hat is pin basted to get an idea of what it's going to look like. 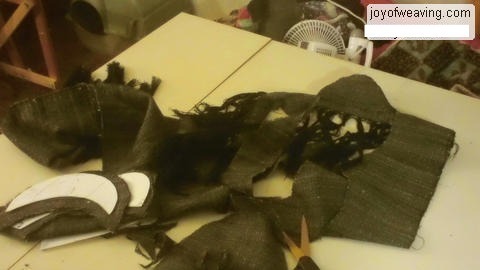 Next is to make the lining and the stiffening for the bill. Then sew it all together. Easy project. You should try it. A little hand sewing to finish it off and it'll be done. All done. Final step is to top stitch around bottom and it'll be ready to gift to my son. Now, on to the next one!